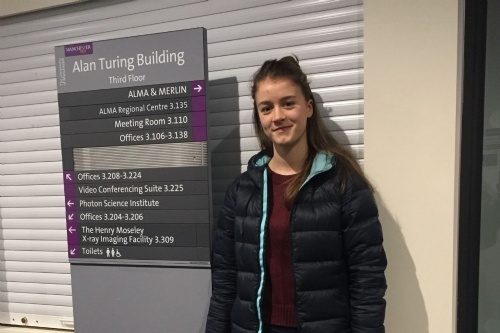 When Sixth Former student, Sabina Schneider applied for a week’s work experience at The University of Manchester’s Astrophysics department she knew her chances were slim, as only 12 students are accepted each year. But out of the numerous applications, Sabina was chosen - we caught up with her to talk us through the application process, as well as her week working in the department. “I decided to apply for the work experience when I came across the application form on The University of Manchester’s website. As well as the usual questions regarding my personal details and enquires about my studies and plans for university, I was required to write a 500-word personal statement – presenting my case for being chosen. 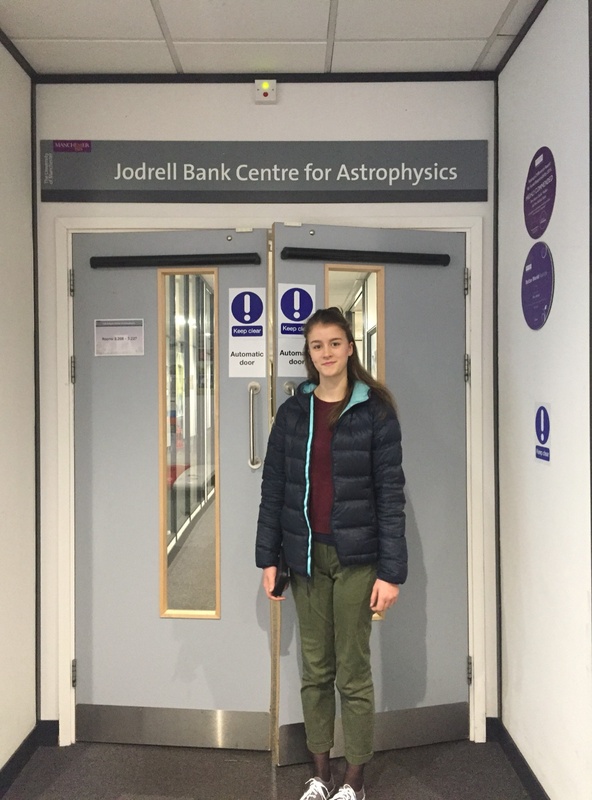 The work experience this week involves us directly working on the current research being undertaken within the Astrophysics department, which is based in The Jodrell Bank Centre (one of the UK's largest astronomy research groups). Specifically, we have been working with Ph.D. and post-doc students who have chosen to study both pulsars and exoplanets. This included a visit to the Lovell Telescope at Jodrell Bank, where we had the opportunity to visit the control room and take part in a workshop in which we helped a researcher in his study of cosmic rays. At the end of the week, our group of 12 will deliver a seminar to senior students on what we have learned and observed about pulsars. Already the week has been useful in giving me a taste for what Manchester has to offer, which turns out to be a variety of high-quality courses and resources. The physics and astrophysics departments are first class. Brian Cox, (who is an English physicist who serves as professor of particle physics in the School of Physics and Astronomy at the University of Manchester), teaches Quantum Physics to Undergraduates.